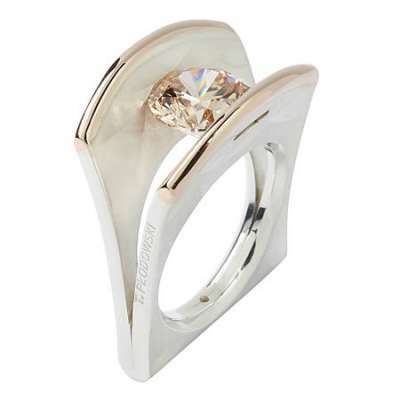 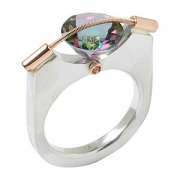 Sterling Silver and 14K Gold Wedge design ring by Tomasz Plodowski. 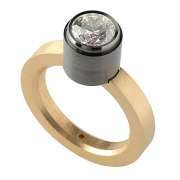 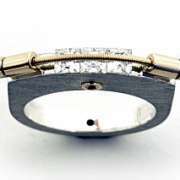 Sterling Silver has a mosaic matte finish with 14K Gold accents and holds a 9mm round brilliant cut cubic zirconia. 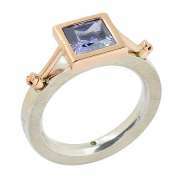 Available in sizes 4 thru 11 with quarter and half sizes available.